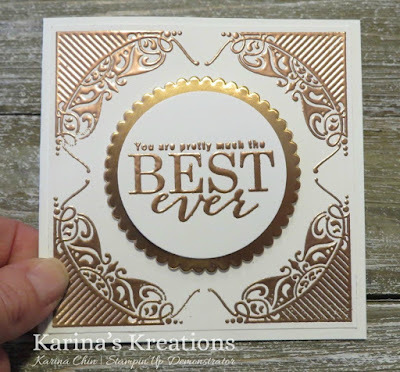 Karina's Kreations: Gorgeous card made with the Stampin'Up All Adorned stamp set. 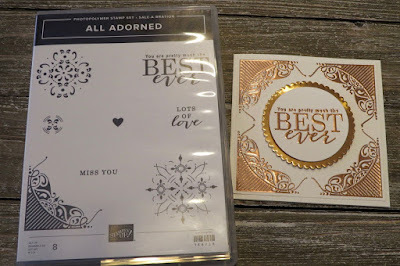 Gorgeous card made with the Stampin'Up All Adorned stamp set. Do you love free product? Check out the card I made with the free All Adorned stamp set. This stamp set is Free with a $60 purchase. 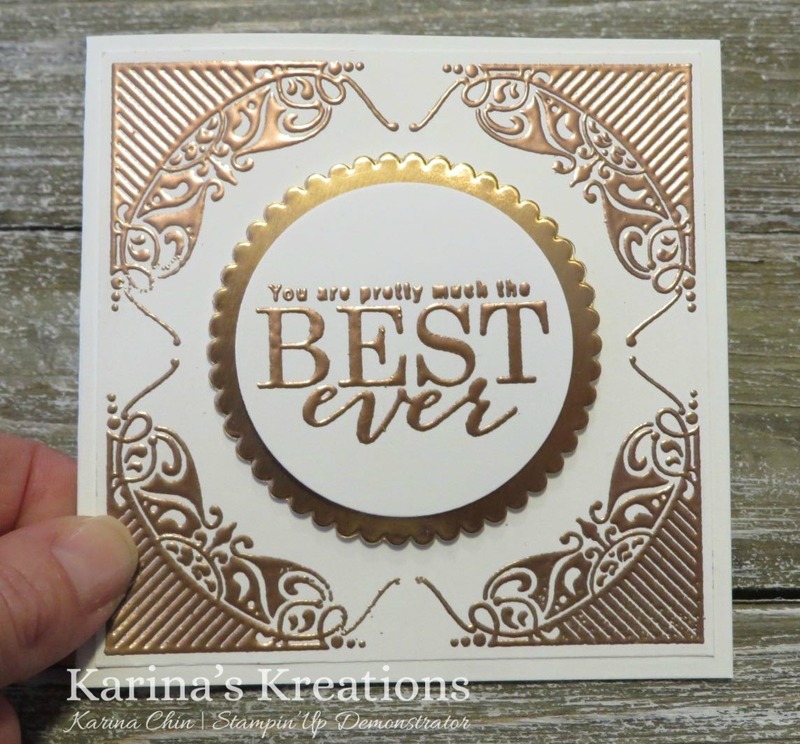 To make this card it helps if you have a Stamp-a-ratus which gives you perfect placement. I cut a 4-1/4" x 8-1/2" Thick White card base and scored it at 4-1/4". Ink up the stamp with Versamark ink and stamp on the card stock. 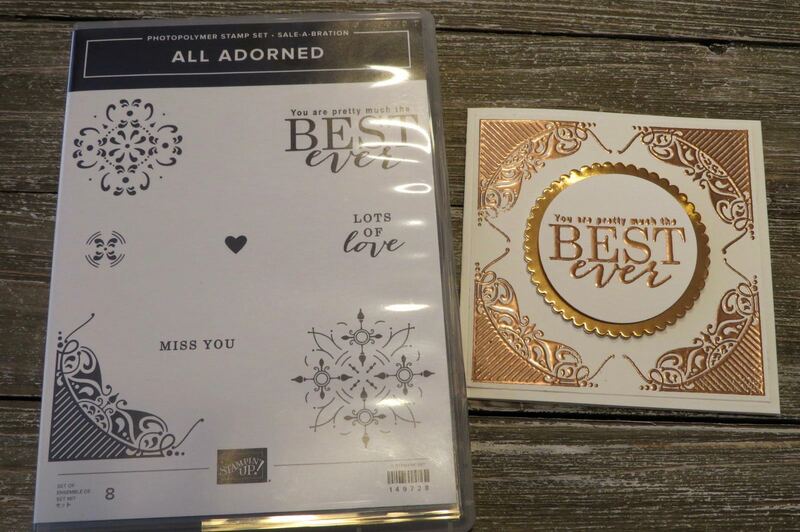 Turn the card stock a 1/4 of a turn until you stamp all four corners. 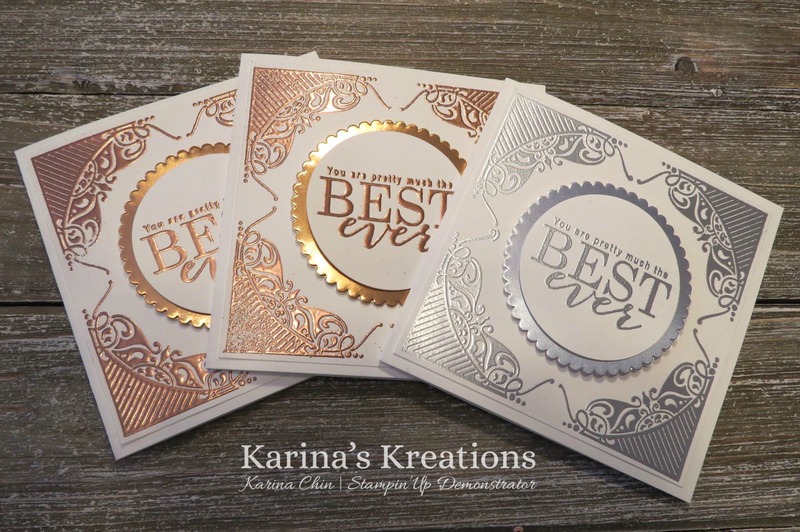 Emboss with Copper embossing Powder. The sentiment was stamped on Whisper White card stock and also embossed. It was punched out with a 2" circle punch and attached to Copper Foil that was cut out with an oval framelit die. I'm placing an order Friday morning at 10:00. Email me if you want to place an order or click on a picture below to go to my online Stampin' store.